After Tech It Out, enjoy an evening full of handcrafted cocktails, gourmet plates, and laid back networking at the modern and fun atmosphere of Westport Social. 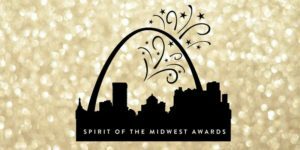 The WICT Midwest Chapter will be honoring stand-out women in our profession with awards such as: Women in Technology, Rising Leader, and the Spirit of the Midwest award. This is a great opportunity to get acquainted with the WICT Midwest Board of Directors and find out how to get more involved with the chapter. Additionally you will feel inspired and energized by the charismatic leaders you will have the opportunity to engage with during one of our most anticipated annual events.